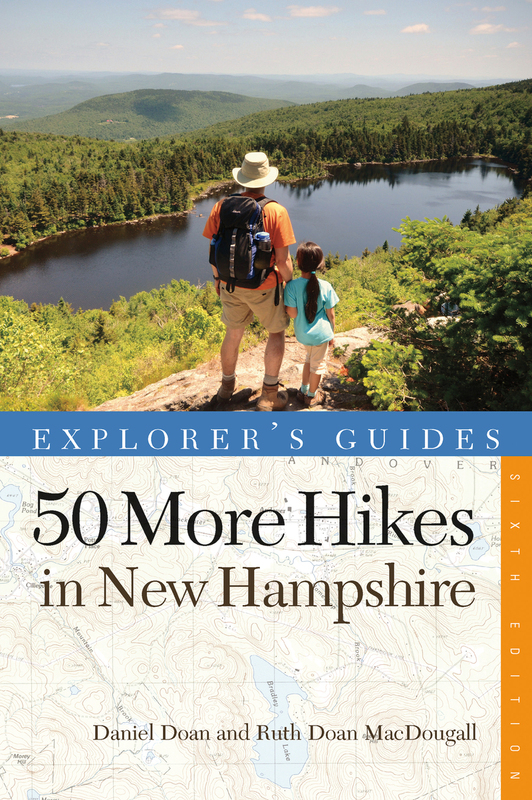 Whether you’re after a simple woods walk or a challenging trek up a 4,000-foot peak, the 6th edition of this indispensable hiking guide has it. Sit beside a brook in southern New Hampshire or climb a fire tower in the far north, visit state parks, explore ice caves in King Ravine, pick blueberries, or embark on a backpacking trip—all in the gorgeous Granite State. Daniel Doan hiked the White Mountains of New Hampshire for nearly 70 years while writing novels, short stories, a history of the Indian Stream Republic, the memoir Our Last Backpack, and two hiking guides, Explorer's Guide 50 Hikes in the White Mountains and Explorer's Guide 50 More Hikes in New Hampshire. Recipient of the New Hampshire Writers' Project Lifetime Achievement Award, he died in 1993. Daughter of New England travel expert Daniel Doan, Ruth Doan MacDougall has for years helped keep his hiking guides up to date. A novelist as well, MacDougall received the NHWP's 2005 Lifetime Achievement Award. She lives in Center Sandwich, NH.